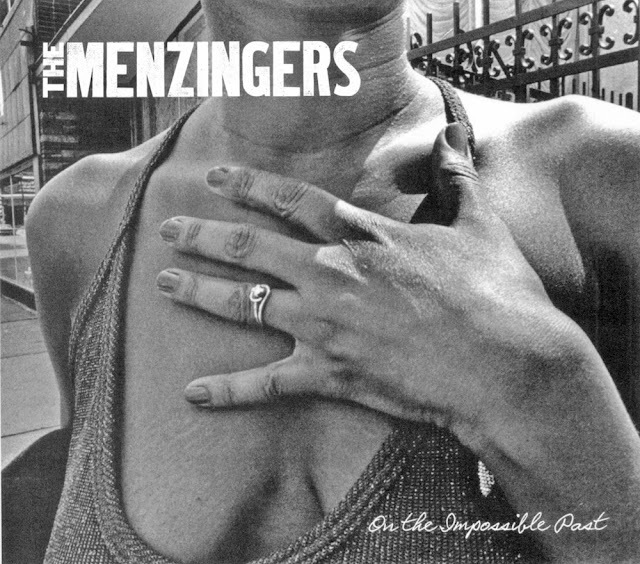 Things Is Cool: On The Menzingers' "On the Impossible Past"
On The Menzingers' "On the Impossible Past"
On the Impossible Past, the critically acclaimed 2012 release from punk rockers The Menzingers, is among the very best albums of last year for its raw, evocative, lyrical strength. It is a striking statement on the decline of the American dream from the perspective of the youth it left behind. That the record comes from four musicians who, though now based in Philadelphia, are originally from Scranton, Pennsylvania, should not come as a surprise to anyone familiar with Northeast PA. Seventy-five years ago, the region and the city of Scranton thrived as an epicenter of anthracite coal mining, but the industry dried up after the Second World War with the rise of oil and natural gas. Gone was the economic and social prosperity. Left on the languishing landscape were culm banks, strip mines, abandoned breakers, and people hard as flint. The Menzingers, with their storytelling prowess and flair for poetic imagery, spark the imagination and manage to tap into the decades-old nostalgia that hangs over that bygone corner of America like the perpetual stratus cloud cover. Furthermore, the impressionistic songs embrace the anguish of the band’s own generation as it grapples with inherited hopelessness. The world of On the Impossible Past is one of diners and drugs, cigarettes and muscle cars, recklessness and failure. It is a world in which ennui and apathy thrive. Though it is not unique to punk rock or to Northeastern Pennsylvania, it is as pointedly placed--and serves much the same purpose--as Fitzgerald’s “valley of ashes” in The Great Gatsby, a reference to the massive trash-burning dump that existed in Queens en route to the opulence of East and West Egg on Long Island. Both locales are the byproduct of the ever-churning engine of industrialism and commercialism that separates the haves and the have-nots and leaves the latter struggling to find their way among the detritus. One of the things that makes On the Impossible Past a distinctly American record for the Millennial Generation is that characters’ longing replaces active striving. The fruitlessness of that inaction can be partly attributed to the decaying, economically depressed environment in which it is set. As “Sun Hotel” states, the region is “the loneliest corner in the whole world…[where] all eyes are glued on the 6:00 news for another fire, another impending deer season.” What is not there for the voices in these songs is as important as what is, and it sparks the idea in “The Obituaries” that “maybe I’m not dying, I’m just living in decaying cities.” Somehow, though, in the absence of vim and vibrancy, the eagerness and impetuosity of youth persist. If there is sweetness or redemption to be found in The Menzingers brilliant third LP, it is in these enduring qualities.